Seasoft’s Mobile Fleet Manager is easy-to-use web-based software that helps pinpoint delivery times, increase productivity for dispatchers and drivers, reduce vehicle and fuel expenses and maximize customer service. Powered by Elite EXTRA’s® cloud-based dispatch management solution, Mobile Fleet Manager optimizes truck routing, management and tracking to make dispatching more efficient. The solution can transform dispatch and delivery operations into proactive, automated Customer Service and Traffic Control Centers, getting drivers on the road with optimized route sequences, manifests sent right to their tablet or smartphone, real-time GPS tracking, and proof of delivery. Take Advantage of a Strong, Demonstrable ROI. You have an expensive investment in your fleet and personnel. The typical delivery vehicle ranges from between $300 – $500 per day to operate, including likely $3 to $5 per mile. Your investment in Mobile Fleet Manager will be less than $4 per day to manage a resource that your service reputation depends on. The system also eliminates the headache and expense of dealing with a separate black box and in-cab display device. Instead, in-cab communication between drivers and dispatchers is done via the tablet PC or smartphone—a simple, cost effective, and safe solution. Comprehensive dispatch and delivery functionality optimizes truck loading, route sequencing and provides dispatchers with real-time delivery tracking. As sales orders are entered into the system, dispatchers schedule runs or send the order to a delivery queue. Shipment information is then automatically posted directly to the drivers’ manifest on their mobile device. Unlike other mobile dispatch solutions, Mobile Fleet Manager offers real-time GPS tracking of drivers and wireless communication between drivers and dispatch to provide full visibility at all times. As the GPS in the tablet or smartphone gets pinged every three to five seconds, your dispatchers will see on a map every move your drivers make. Because the GPS chips used in mobile devices are the exact same chips found in traditional in-vehicle GPS units, you can expect the same accuracy, at a much lower cost. Most mobile dispatch solutions update ETAs on a manifest based on arriving at the jobsite. If there are three deliveries, the second and third ETA/stops are updated ONLY after the driver leaves stop one. The first ETA is never updated which can create bad will with customer because the ETA’s are simply wrong. 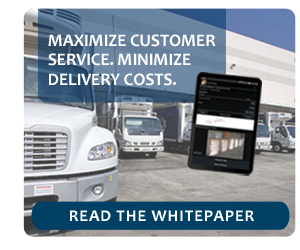 Mobile Fleet Manager offers electronic signature capture and proof of delivery (POD) capability that securely stores signatures and high-resolution pictures of the delivered goods. You know immediately who signed for a delivery for easy proof of delivery right on your driver’s phone. Whether scanning, capturing signatures, or communicating with dispatch, the Seasoft Mobile Fleet Manager empowers your drivers to take care of business. Mobile Fleet Manager’s integrated electronic Vehicle Safety Inspection Reporting tool facilitates driver and dispatch communication concerning vehicle safety issues. As a driver starts or ends his trip, he can photograph and document the inspection to alert dispatch of any maintenance issues with the vehicle. Your company is likely affected by one or more of the U.S. Department of Transportation’s Federal Motor Carrier Safety Administration (FMCSA) regulations. An affordable add-on to Mobile Fleet Manager can help. 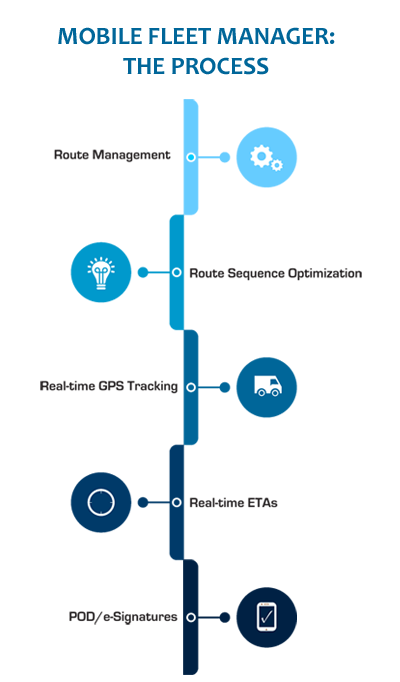 Our single solution covers you for Telematics, Federal Compliance, Dispatch and Vehicle Maintenance. Monitoring vehicle health and driver behavior by connecting to the truck’s computer, dispatchers can now manage your entire fleet by exception. For more information, call (800) 422-4782.